A modern production often involves the drummer performing through multiple microphones, specifically set to capture the sound of each individual component of the drum kit. Ideally, each microphone should only pick up the sound of the intended percussion element (i.e. 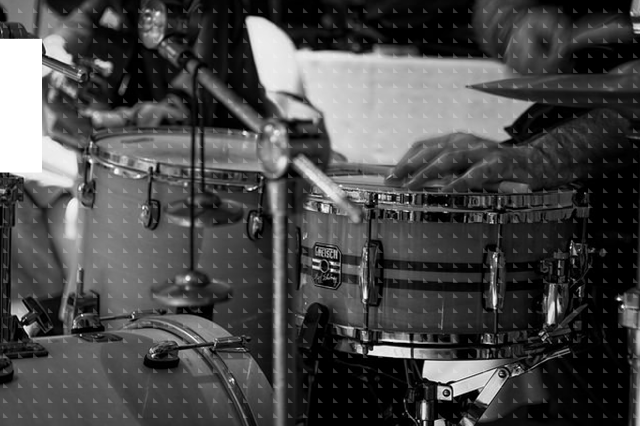 a snare microphone should only record the sound of the snare drum). In practical everyday applications, though, things are not so simple. In reality, a drum kit is a group of sound sources placed extremely close to each other. Each drum is bound to interact - more or less - with all microphones. In other words, the floor tom’s sound will find its way (‘leak’) to the kick drum’s microphone. Whatever term of audio slang you choose to describe that effect - ‘leakage’, ‘bleed’ or ‘spill’ are quite common words - it’s an ever-present issue during multichannel drum recordings. There is of course also, ‘instrument leakage’. Anyone who ever tried recording a live band knows the turmoil involved in such a project. In this day and age, though, most engineers choose to circumvent that problem by doing overdubs: each musician performs in an isolated fashion, usually to the beat of a metronome, or an already recorded drum track. 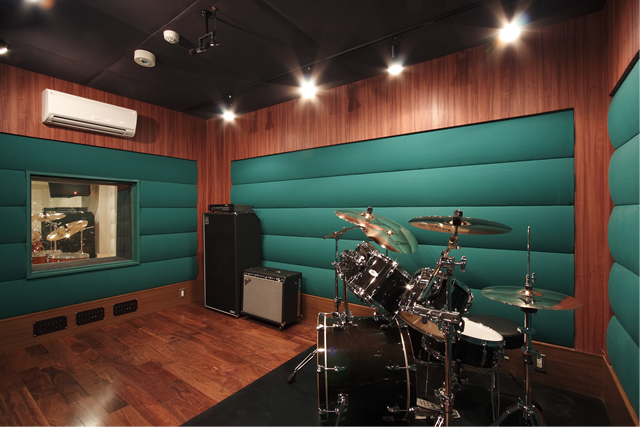 Specially constructed booths and acoustic barriers ensure proper source separation, clarity, and signal to noise ratio. Dealing with drum bleed is a different matter altogether, mainly because no engineer in their right mind would expect a drummer to rock’n’roll by playing one drum at a time. The effect of drum bleed is pretty much unavoidable. But how much of a real problem is it? Depending on the nature of the project, it would usually range from ‘mildly irritating’ to ‘completely destructive’. Most seasoned mixing engineers have grown accustomed to it. They have adjusted their work to its inevitability and have developed methods to mask it, or even use it as an artistic effect. Aesthetic matters aside, from a purely engineering perspective, drum leakage is definitely an undesirable effect. The effect of drum leakage significantly reduces a channel’s signal to noise ratio (SNR) and available dynamic range. Bleed manifests as a constant noise floor that effectively reduces the clarity of the original signal. Especially in digital audio systems, such as most modern studio workstations, preserving the dynamic range of a signal is critical to avoid muddiness and ensure a clean, crisp sound. Leakage degrades the timbre of the original recording. Since the same sound is captured by microphones at varying distances, the eventual summing of the signals will produce comb filtering: a specific kind of degradation that happens when a signal is mixed with a delayed version of itself. In practice, the cymbals usually sound metallic and unnatural, the transients are blurry and the general punch of the kit is lost. Applying mixing effects, such as equalization and compression can be tricky. A compressor will make the noise floor more prominent, amplifying the leakage portion of a recording. This is a direct result of the SNR reduction explained above. In the same fashion, applying equalization filters on the channel will also affect leakage, often producing harshness and loss of definition. Applying creative effects is even trickier. Many modern genres rely on the use (and abuse) of a certain range of delay-based effects or non-linear processors. The presence of drum bleed narrows the possibilities and introduces many limitations to a producer’s creativity. In the next part of our article, we’ll take a look into the conventional methods used to address this problem until now. In the third and final part, we’ll a take a look into modern innovative techniques, such as the one employed in drumatom. Microphone bleed is the number one problem for any engineer who regularly records drums. You can use drumatom to solve it!